Diet, environmental enrichment and management are the cause of most medical problems with pet exotic birds. Early intervention and diagnosis of problems increase the likelihood of success. We recommend examining your bird shortly after you purchase them to start your pet’s life off to a good start. After that, annual or semiannual examinations help maintain your pet exotic bird at optimal health. Poor or inappropriate diet – Poor or inappropriate diet results in poor feathers, reproductive issues, fatty livers, and chronic infections. Metabolic bone disease – metabolic bone disease occurs especially in African Greys. Feather destructive behavior – Feather destructive behavior, also called feather plucking, is common with birds. Egg binding - Budgerigars, canaries, cockatiels, finches, and lovebirds most frequently have problems related to egg laying. 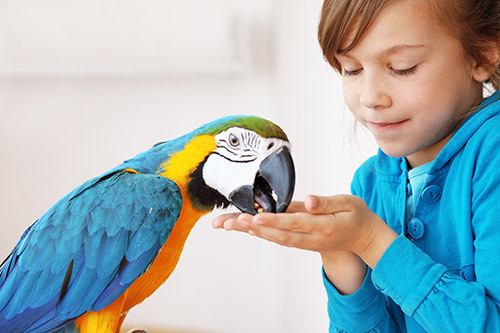 We have the ability to diagnose and treat many diseases for your pet bird. Annual physical examination and blood work - For birds, we strongly recommend annual physical examinations. Annual baseline blood work may be recommended based on your bird’s examination, age, and size. 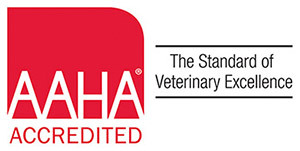 Complete blood count and organ function testing - We have invested in lab equipment that handles the small volumes of blood that are available from these pets. Most times we can have results within 30 minutes. Prompt diagnosis can mean the difference between life and death in a heavily compromised bird. Stool parasite examinations - Many intestinal parasites do not cause issues in a healthy bird. But when there is another disease concern, these parasites can cause issues. We are able to microscopically examine your bird’s droppings to make an accurate determination whether anti-parasite medications should be used. Disease DNA testing - We partner with outside laboratories that can look for the ‘DNA fingerprint’ of many bird viruses and fungi. The sample size we need is miniscule and almost all the time can be noninvasively obtained. Laparoscopic exams - When needed, we can use minimally invasive laparoscope to visualize inside your bird’s body, perform some surgeries, and obtain tissue samples for biopsy. Intensive care - We have the equipment, knowledge, and experience to provide intensive care hospitalization for your exotic pet bird. Many ill birds are so compromised, intensive care can be lifesaving. Surgery - We routinely perform surgery on birds. Beak procedures - A number of our birds needs periodic beak trimming and shaping to align the upper and lower beak. Medicinal preparations - We carry medications that are most often used in birds such as antibiotics and we routinely compound these medications to meet the size of our patients. Pain management - For birds, pain control is a necessity. Birds can deteriorate quickly when their pain in not managed aggressively. Parasite control - Parasites are a fact of life in many exotic pet birds. When indicated, we carry and recommend a number of effective parasite medications.